For wine lovers seeking value, Toro, a historical and up-and-coming wine region in north-central Spain — traditionally known for its brawny reds — is well worth getting to know. And among Toro’s wineries, Bodegas Fariña is a flagship producer, turning out exceptional wines at astonishingly affordable prices, mostly in the $10-12 range. I recently had the opportunity to meet Manuel Fariña, the second-generation owner and jefe of the operation, and to sample some of his wines over dinner at Cook Shop, in Chelsea. Tanned and fit, with a quick smile and twinkling eyes, the 70-year-old proprietor wasn’t phased by a June heat wave in New York City, which actually pales in comparison to Toro’s torrid summer temperatures (often exceeding 110 F). From his modest, courteous manner, you wouldn’t guess that he’s widely regarded as the “Father of modern Toro”. 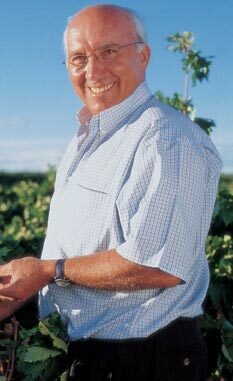 During his long tenure, Fariña introduced improved vineyard techniques and modern wine-making practices into his own operation and to the Toro Denominación de Origen (DO), and conducted extensive research on Toro’s excellent terroirs and its mainstay grape: the local, thick-skinned version of Tempranillo, Tinta de Toro. Most important, perhaps, he started harvesting grapes earlier, from mid-to-late September rather than the traditional early-to-mid October, before tannins, ripeness and resulting alcohol levels fly off the charts. The upshot of the earlier harvest? Wines with softer tannins, more elegance and structure and less alcoholic bombast. This style change set the standard for Toro’s transformation from a rustic, backwater wine district to an internationally recognized comer. While Toro is overwhelmingly red wine territory, based predominately on Tinta de Toro (along with possible additions of Garnacha), there are some whites and rosé produced as well. Whites are made from either 100% Verdejo or 100% Malvasia. Fariña makes one such white — the Dama de Toro Malvasia 2010 (DO Toro) — from vines over 100 years old. Back in the day, Toro producers used the white Malvasia to soften and impart some much-needed acidity to the highly alcoholic, traditional reds. Once Toro vintners started to dial-back on the alcohol levels, however, wineries started uprooting the ancient Malvasia vines. Fortunately, Fariña didn’t follow suite, because the Dama de Toro Malvasia is a warm weather delight, featuring pretty floral aromas, crisp gala apple and stone fruit notes, good depth and a clean, citrusy finish. Very refreshing. Tired of standard issue Sauvignon Blanc or Chardonnay at cook-outs? At $11.00, this unique white is a stellar alternative, perfect as an aperitif or with light summer fare. 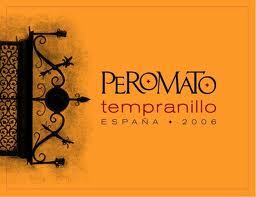 Another hot weather gem is the unoaked 100% Tempranillo Peromato 2010 (Vino de la Tierra Castilla y Leon). Light-bodied, and bursting with pretty strawberry preserve aromas and flavors, this versatile summer red ($10) takes well to a chill, similar to a juicy Beaujolais. Try it with spicy turkey burgers off the grill. Also unoaked, but with a small dose of Garnacha, the deep crimson Dama de Toro Tempranillo 2010 (DO Toro) shows more complexity than the Peromato, sporting a spicy, floral nose, wild berry flavors and vibrant acidity, the perfect foil to my sautéed rabbit dish at Cook Shop. A food-friendly steal at $11.00. Fariña is not allergic to oak aging, but employs it subtly and judiciously. The Dama de Toro Barrel Aged 2009 (DO Toro) spent 4 months in oak (50% American, 50% French), reflecting a more international style of wine-making. Mostly Tinta with a little Garnacha, it’s balanced and redolent of dark berries and violets, and an excellent complement to roast lamb or spice-rubbed grilled steaks. And it’s only $12.00. From tiny yields off 80-90 year-old vines comes Farina’s premium wine, Gran Dama de Toro 2006 (DO Toro), a muscular, yet finely etched wine of Tinta and a splash of Garnacha that spent 15 months in American (70%) and French (30%) oak barrels. Full-bodied and complex with deep dark cherry fruit, cocoa, spice and licorice notes, this is one for the cellar, and relatively inexpensive for the quality ($45.00). Apparently, Bodegas Fariña is well-distributed in the US, particularly in Los Angeles and the Metro NY area. Don’t hesitate to try out these bargains. This entry was posted in New York City, NYC Events, Wine, Wine + Food and tagged Bodegas Farina, Cook Shop, Dama de Toro, DO Toro, Spanish wine, Tinta de Toro. Bookmark the permalink.